Our principle is very simple: Those who want to do good during the day, should also enjoy good food. Our head chef Hasan Akal is responsible for that enjoyment, and together with his team in our in-house restaurant he ensures that a meeting in the ComTeamHotel also creates culinary accents. You would need to stay with us for a very long time to use everything that one of the most beautiful regions in Bavaria has to offer in terms of leisure activities. But at least you can try. Discover the ComTeamHotel and its surroundings. Conferences, strategy meetings, workshops and seminars – if you want to work together to get to the heart of something, you sometimes need a change of perspective. And maybe you also need to get away from your normal everyday life for a while. If you want to swap this everyday life, this fast-moving business world, for a break in an environment where you can enjoy concentrating on the essentials, you can find refuge at the ComTeamHotel at Lake Tegernsee, and work without any distractions at all. Even if it is not immediately clear from our idyllic property: we are a pure conference, seminar and workshop hotel. In addition to facilities that are, of course, modern and provide you with everything you need for working efficiently, you can expect high-quality interiors, excellent cuisine and a property with character. We will do everything we can to ensure that you remember your time as a successful break from everyday life. 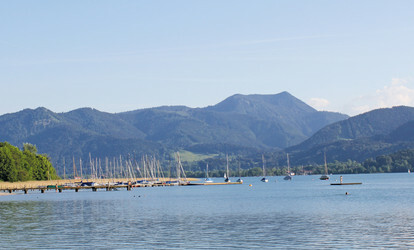 The picturesque surroundings, the location right next to Lake Tegernsee and the view of the mountains are also contributing factors. 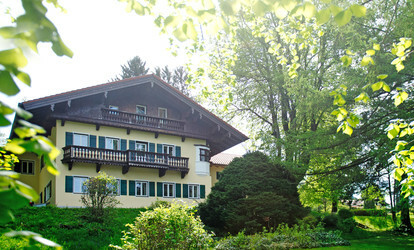 Welcome to the ComTeamHotel Gmund am Tegernsee. You can find all information about our conference-, seminar- and workshop-hotel in the ComTeamHotel brochure. You can order the printed version. Please give us a call or send an E-Mail. The ComTeamHotel not only exhibits special character, but also a special responsibility: As part of our membership in Tagungserlebnis Tegernsee, at the ComTeamHotel we have committed to implement the principles of the sustainability code of the event industry. Sustainable business is already a matter of course for us. This commitment is an incentive for us to make further efforts and take measures to improve the quality of life and work. You can find out more about our sustainability principles here: Holding meetings naturally.